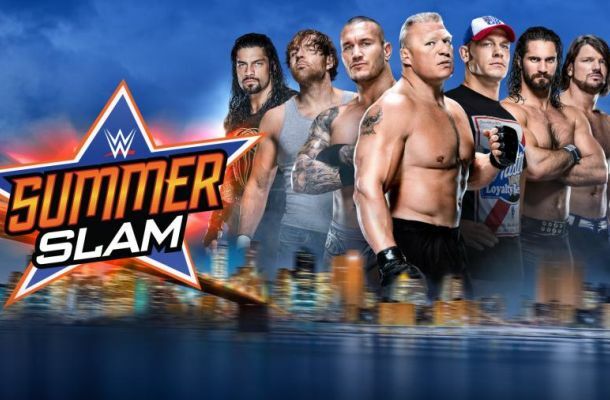 WWE Summerslam 2016 takes place this weekend. It’s a big weekend in sports with UFC 202 taking place the previous night. From a betting perspective we’ll be hoping for a lot better show than last year where every single favourite won. Summerslam 2014 saw some underdogs win with Rusev beating Jack Swagger and Paige defeating AJ Lee, as well as Ziggler defeating the Miz. We actually went 5-0 on that PPV as we tipped Stephanie McMahon and Seth Rollins as well, and it was a nice profitable PPV. Summerslam 2016 features the potential for some great matches like Finn Balor vs Seth Rollins, John Cena vs AJ Styles and Dean Ambrose vs Dolph Ziggler. It feels like one of those cards where everyone has something to prove – especially with the brand split – and we could be in for quite the show. I’m looking forward to it. 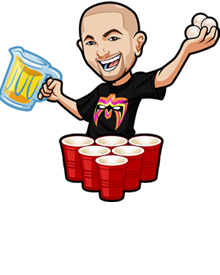 Important Note: The odds for this event are changing rapidly with WWE Summerslam getting a TON of betting action so be sure to check http://www.5Dimes.com for the latest odds. Any tips I offer if the odds are drastically changed feel free to ask in the comments if I still recommend it. John Cena (-210) vs AJ Styles (+160): I’m seeing a lot of people excited about AJ Styles winning – especially after that ending on Smackdown where he was put through the table. To be honest I think a lot of that is confirmation bias – if you look at the amount of times someone gets beat up on the last TV show and then goes on to win the PPV it’s actually around 50/50. However add in the fact that Cena is leaving soon for more filming and it’s possible AJ will win. I’m honestly not a big fan of betting AJ Styles but I’ll recommend a quarter unit bet if you can get above +150. Apollo Crews (-210) vs The Miz (+160): I’m surprised Apollo is such a favourite here. It could be WWE want to really get behind him and give him the title and get him in the mix – and I can totally see that. However I’ve been really impressed with The Miz and Maryse partnership and I think they need the title to really keep them strong. WWE always loves the Miz too. I see value in The Miz and will bet half a unit on him. Sheamus (-145) vs Cesaro (+105): I have to admit I see value in Cesaro here. First putting him over on PPV is always nice – a nice easy way to please the crowd. Plus I like the booking of a Best of 7 when the face goes over in the first match, then the heel wins the next 3 before the face catches up. I’m taking Cesaro for the win. Anderson/Gallows (-140) vs The New Day (+175): I have to take Anderson/Gallows to win here. With it being Kofi/Xavier that’s the perfect excuse for the New Day to lose. They’ve also became the longest reigning champions so it’s time to lose the belts. Rusev (-285) vs Roman Reigns (+205): A lot of people seem to like Rusev here and I understand why – but I think there’s slight value on Reigns. Not enough to go full hog on him but a half unit seems fine. There’s some excellent value on Reigns here. Regardless of everything that happens people love Reigns and WWE have cut Rusev off before. Enzo/Cass (-1050) vs JeriKO (+550): Some easy value on JeriKO here. Jericho himself is always a good bet for the underdogs – WWE put him over far more than people expect. Enzo/Cass can take a loss no problem they’re still over. I’m going to go with a quarter unit on this one though just in case Gallows/Anderson win and they decide to go with the Enzo/Cass feud, or they decide with Jericho apparently leaving to have him feud with Owens or something. I still expect Enzo/Cass to win but the value is here. I wouldn’t bet JeriKO below +300. Brock Lesnar (-400) vs Randy Orton (+280): I’d love to bet Orton based on the WWE “punishing” Brock but I dunno. It’s not like Brock would care and they’d just be shooting themselves in the foot. I’ll be upset if Orton wins now – especially with the way they build up the RKO – but I just can’t see Brock losing. Maybe he gets DQ’d or something but just too many questions. If we’re looking at historical data Smackdown were the brand put over most during the original split at the beginning. No bet. Finn Balor (-160) vs Seth Rollins (+120): This is a tricky one. I’d expect Balor to go over but I’m a bit concerned with the way WWE handled the Demon King on Monday. That’s made me question things to the point I’m going to place a small bet on Rollins. Dean Ambrose (-750) vs Dolph Ziggler (+450): I’m one of the few people who were excited that Ziggler was given this shot. I think this will be a great match but ultimately Ambrose wins and keeps him strong. It helps that Ambrose has been on fire lately. No bet due to the odds. Sasha Banks (-1500) vs Charlotte (+700): Incredible price for Charlotte and just dripping of value. Just trust me on this one. 5 units. This is where having accounts at all the different sportsbooks works.